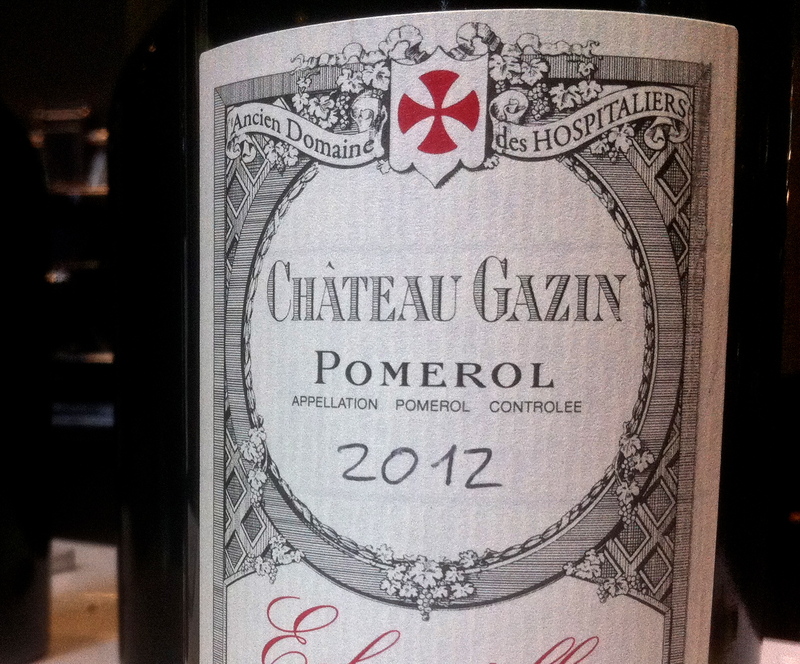 Château Gazin was always a reliable Pomerol but there has been a recent surge in quality [and price] in recent vintages at this comparatively large estate in what is a small and increasingly exclusive appellation. The 2005, 2009, 2010, 2011 and 2012 are all excellent. Vineyard/Terroir: 26 hectares on a single bloc with clay and gravel with iron soils planted with 90% Merlot, 7% Cabernet Sauvignon and 3% Cabernet Franc. Winemaking/Elévage: Traditional with malolatic fermentation and subsequent ageing in barrel, 50% new each vintage. 2010 Deep colour; earthy spicy plum aromatics; full and attractive; similarly flavoursome palate with excellent depth and fruit; also nice structure with impressive bite and grip. Concentrated and nicely handled. Drink 2015-2030. 94 MW Institute Nov ’14 [Earlier note] Deep and saturated look; plums, spices, earthy tones; feels fresh and attractive; ripe, fresh fruit on the palate; good grip and satisfaction; freshness and life here, a wine you could return too. Lots of blackcurrant and plum tones to the fruit. Real zap here. Excellent effort. 94 UGC Oct 2012 [Earlier] Deep and dark; dense and concentrated nose; strong but brooding, less open than some; dense palate, lots of fruit, lashing in fact but feels pretty tannic too. Lots of fruit in support though. Strong wine. Very good with grip and length 92-94/100 6th April 2011 at UGC. 2009 Deep and saturated; earthy, spices and plums; pretty thick and a little reductive; some jam here too when it opens up; thick but attractive; black fruits, some freshness and perfume; blackcurrants and spicy notes. Ripe and big with considerable structure beneath the fruit. Very satisfying. Drink now – 2030. 94+ MW Institute Nov ’13 [Earlier note] Deep and saturated; lots of toast on the nose; black fruits and liquorice; very deep and pretty extracted [in the nicest sense]; fat and deep palate; loads of gorgeous fruit; big and deep and lots of oak. Incredibly dense and chewy. Its richness is almost atypical even for Pomerol [though maybe no longer]. Brilliant stuff if a bit Napa/Shafer-esque. The best Gazin I’ve had. 94+/100 UGC 2012 [Earlier] Mid depth, dark, quite tight – a little dumb at first; attractive palate, quite extractive and tannic, not as silky as the Clinet. Alcohol here. Little disjointed. [Later] Smokey note and intense, more forthcoming; palate rich and ripe. Much better. Lots of fruit and extract. Score reflects the second sample. 90+/100 [90% Merlot, 7% Cab Sauvignon, 3% Cab Franc]. Tasted 31st March 2010. 2007 Deep at centre; very ripe and lifted nose; ref fruits, seductive; lots of oak and coffee aromatics; thick on the palate but with more poise than St Emilions of similar weight and style in 2007. Thick and big but this works. Good length. 90+/100 MW Institute Nov ’11 [Earlier] Good colour; tight to rim; sweet attractive nose; plums and some seductive oak; soft sweet fruit; quite nice acid – attractive wine; maybe a trifle short but should fill out. Attractive wine with good concentration. 88+/100 UGC Oct ’09.